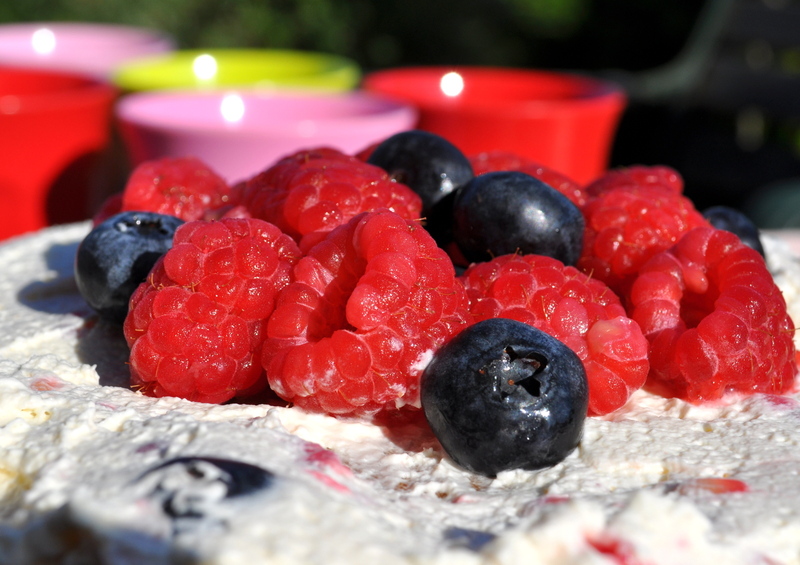 An amazingly easy cake to make with mouth watering fruitiness and creamy light sponge. It can be used as a celebration cake, as I did for my friend, Sally’s birthday, or for a delicious tea-time treat. Other berry fruits can be used. 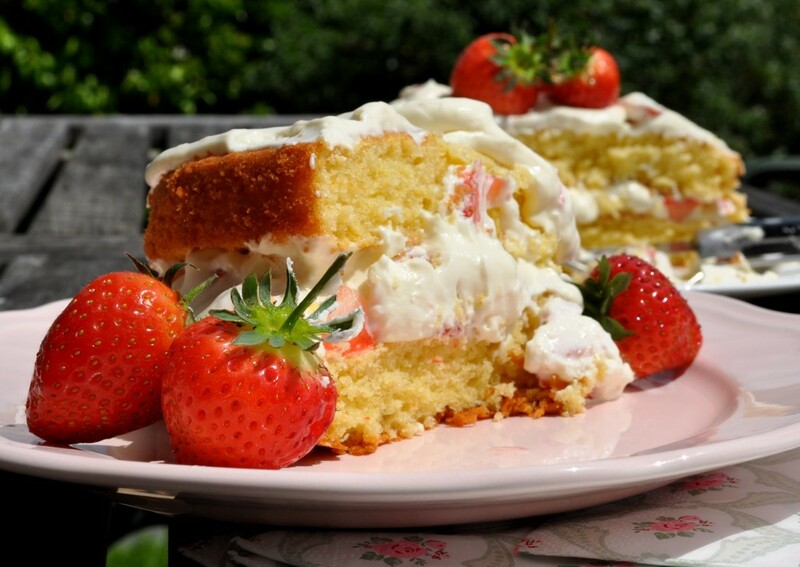 I used strawberries that day, those I had purchased from my trip to The Royal Cornwall Show. (It takes place every year in June at the showground just outside of Wadebridge, North Cornwall.) 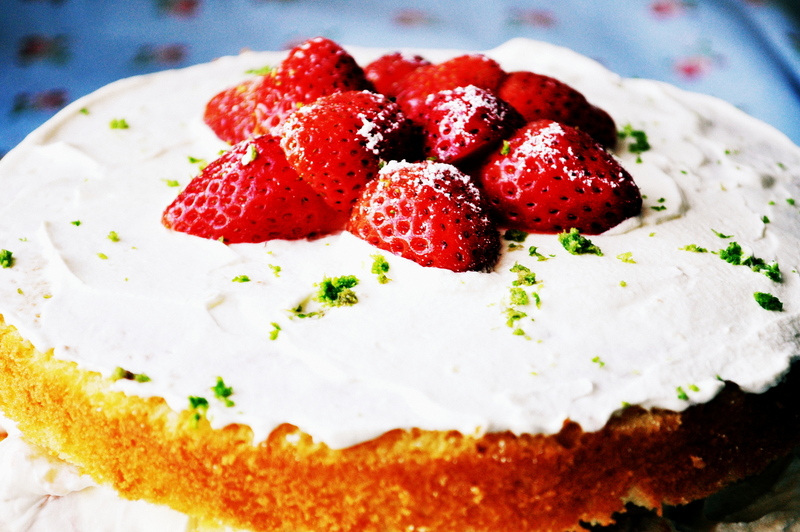 I decided to add a hint of lime; a zesty addition that complements the sweetness of strawberries so well. And it just so happened that I had two in my fruit bowl. 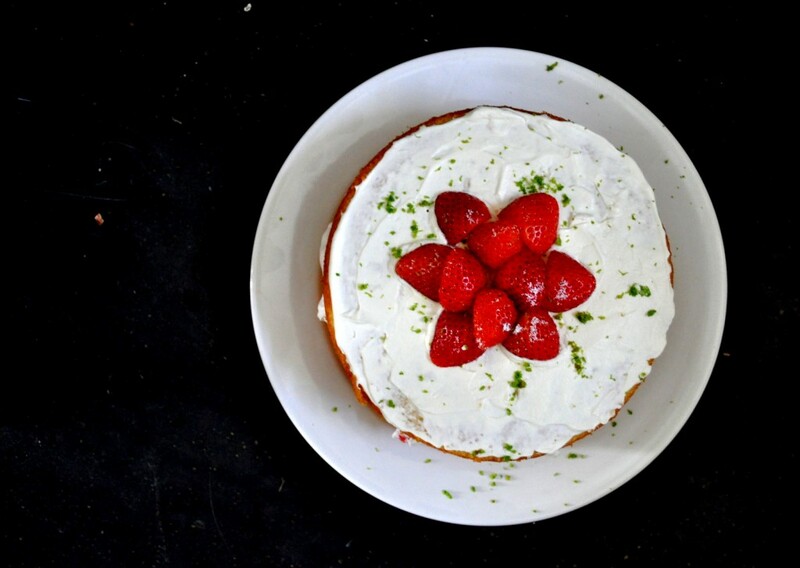 This cake was so popular with the family that they begged me to make another the following day with the remaining strawberries, and all for their own pleasure. Though we did take a couple of slices to the grandmas. And then I was asked if I could make another one a few days later with raspberries and blueberries I had just purchased from a local fruit store. I was finding it hard to keep up with the demand. Maybe, I thought, they would like something different, but no! To begin prepare and base line two 20cm (8″) sandwich cake tins. 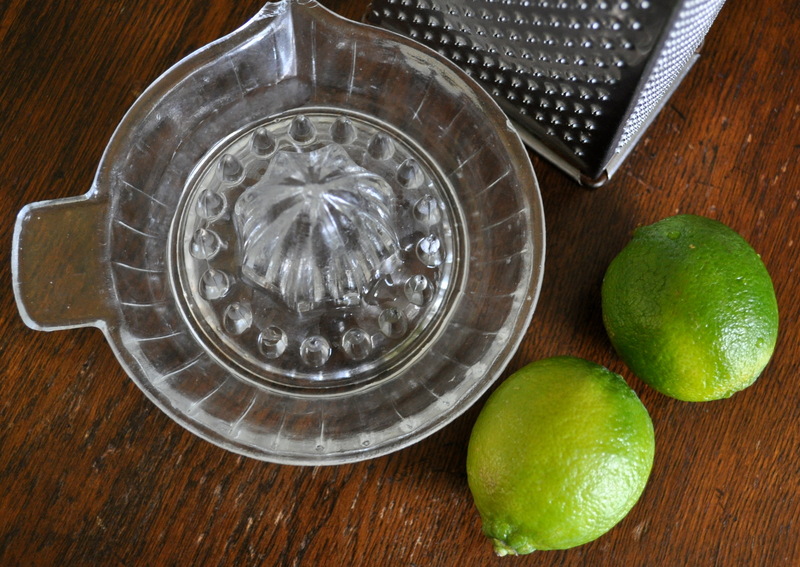 Grate the rind of both limes and set aside. Cut one lime in half and squeeze out the juice, and also set aside. Put the butter, caster sugar, flour, baking powder, vanilla essence and eggs in a large bowl and mix. I tend to use an electric mixer, but you can do this by hand using the creaming method. Pour in the lime juice and half of the grated lime rind. Mix in thoroughly. Divide the sponge mixture between the two tins and bake in the pre-heated oven for approximately 20-25 minutes. The cakes should be spongy to the touch and a skewer should come out clean. Allow to cool in the tins for 5 minutes before turning out onto a wire rack to cool. (These cakes can be stored overnight, wrapped separately in foil and placed in a large cake tin.) If you prefer thicker sponges you can increase the butter, caster sugar and flour to 200g (7oz) each and use 4 eggs. While the cakes are cooling, lightly whip the cream with the icing sugar until just holding its shape but not too stiff. Take about two thirds of the strawberries and chop into quarters. Add these to the cream and gently stir through. When the sponges have cooled, spread most of the cream onto one of the them, leaving approx. 4-6tbsp cream aside. Top with the other sponge to create a sandwich. Thinly spread the remaining cream over the top and decorate with the reserved strawberries. Sprinkle over the remaining lime zest. And there you have it; strawberry, lime and cream sponge. 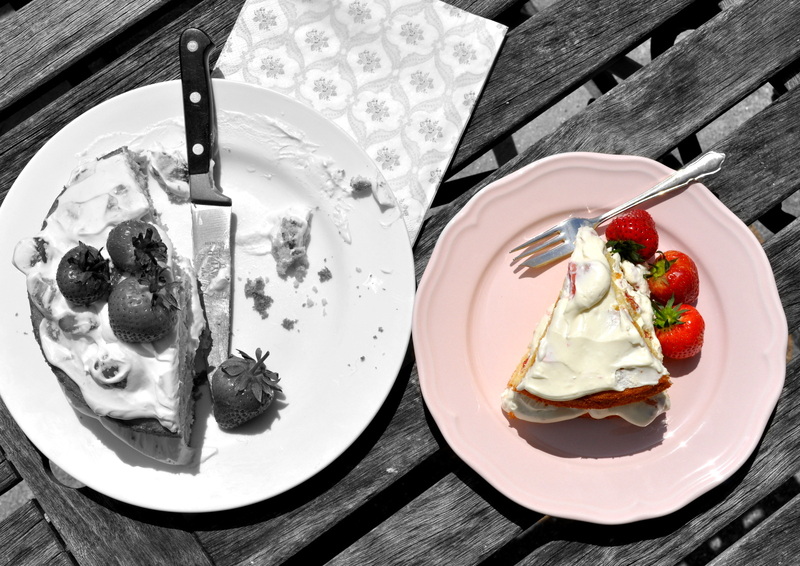 For birthdays serve with a chilled glass of bubbly or, as an afternoon treat, serve with a good cup of tea or a glass of chilled homemade lemonade. 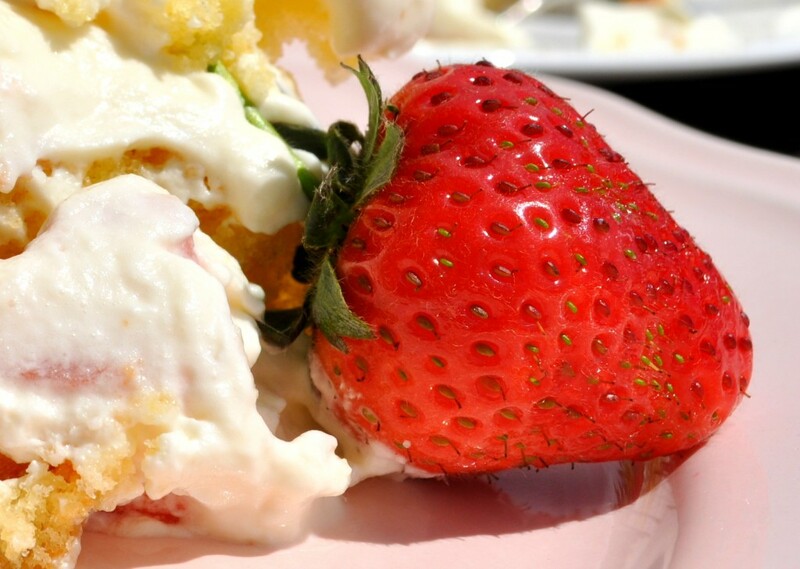 We have the traditional English summer dessert of strawberries and cream in a cake. 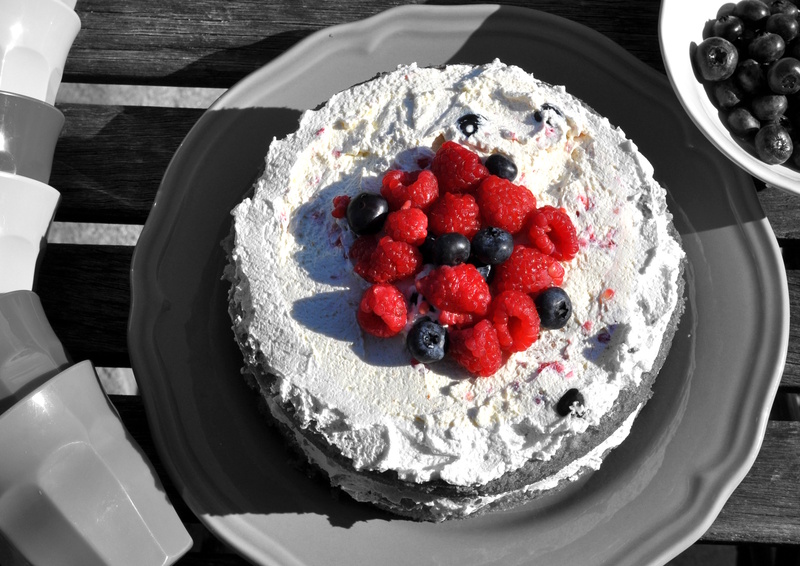 A raspberry and blueberry cream sponge version, minus the lime, was also enjoyed a few days later. 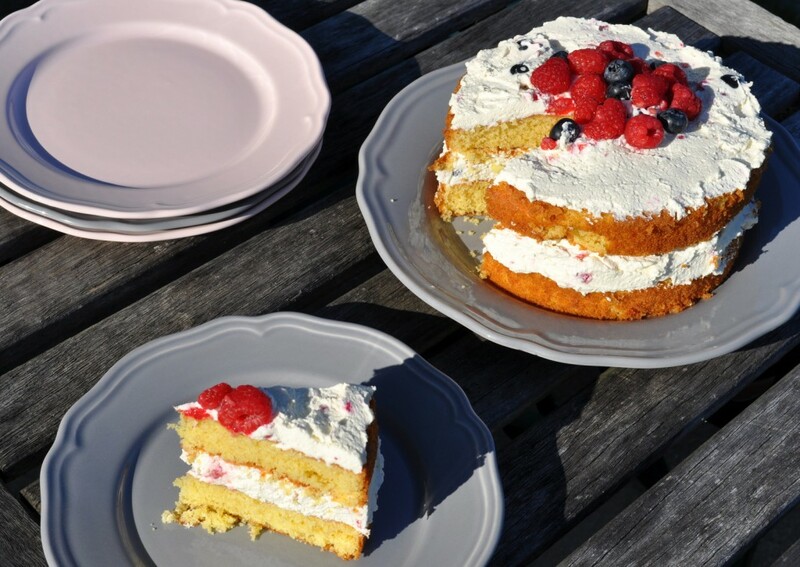 The sun was shining and the air was feeling summery, so we had my freshly prepared cake in the garden with cups of refreshing summer fruits juice.